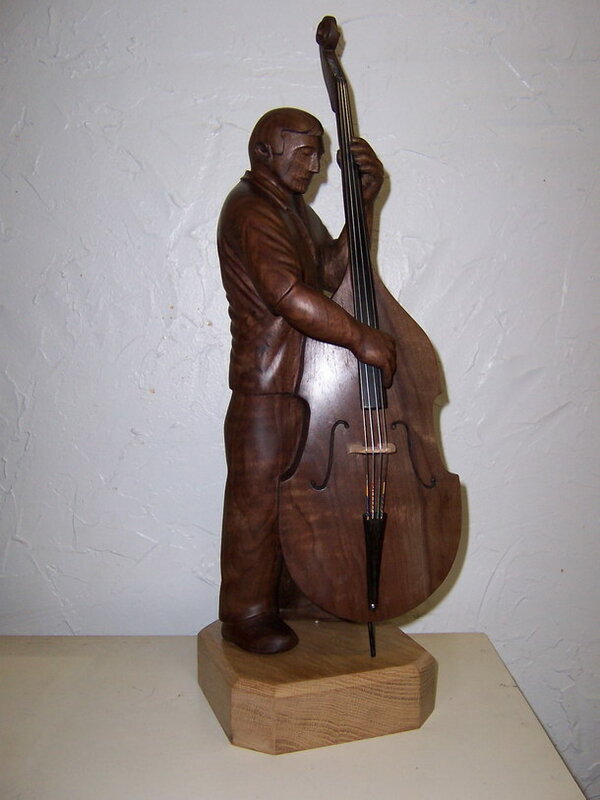 "The Bass Player is the last of six carvings from a walnut log five feet long and two feet in diameter bought from Whitethorn Construction in 1998. Some of the other pieces were a sax player, an angry elephant, a glowering gorilla, and a basketball player making a jump shot. Local walnut is my favorite carving wood. It is reasonably predictable to work with mallet and chisel, remains remarkably stable, and finishes beautifully with oil and wax."